Anyway, I rather like the look of a matte lip but the problem I always have is it dries my lips out and then they look utterly unattractive. 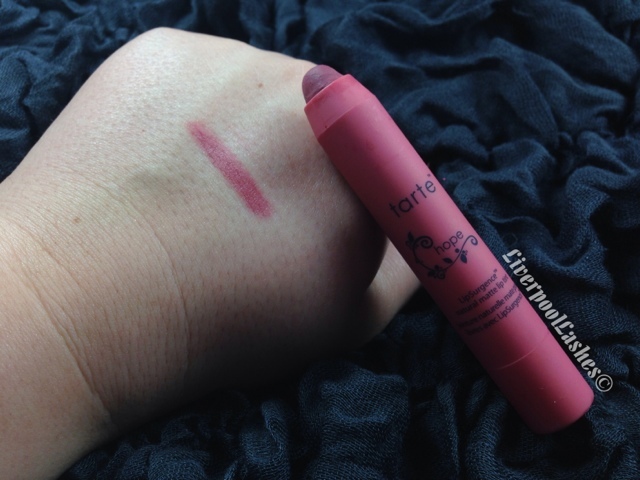 This is now solved with the Tarte LipSurgence Matte Lip Tint range as they do not leave my lips dry at all. It's hard to explain the texture but my lips are soft, obviously as they're not shiny they don't have that slippy feeling that a normal lipstick or gloss would give. In terms of the 'staining' aspect, I wouldn't say that it stains like I thought it was going to. There is some colour left for a little while but it's hard to tell if that's just it gradually fading, either way I'm not particularly bothered by this as they're so easy to apply that you don't really need a mirror. The bottom line is.. I am buying more of these!! Unfortunately Sephora do not ship to the UK but I am due to go on a tour around New England and Chicago in a few weeks so these bad boys are on my shopping list. If you've tried any other colours please let me know! !